American Horse Council, AAEP, USDA pledge to keep U.S. horse herd healthy in case of a disease outbreak. Nearly a decade ago, the USDA approached the American Horse Council (AHC) with a question: If we have a disaster-level equine disease outbreak, what are you folks going to do about it? According to Cliff Williamson, current director of health and regulatory affairs for the AHC, before that meeting the horse industry had believed it was the federal government’s responsibility to manage biosecurity and protect U.S. herd health. But the more the groups talked, the more they realized everyone had a role—and they needed to educate the various stakeholders. 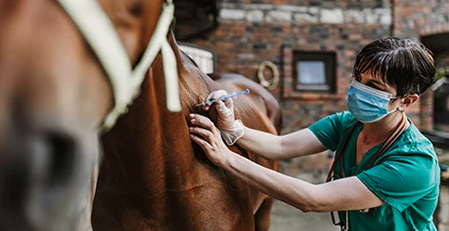 The result was the creation of the National Equine Health Plan (NEHP), a document emphasizing the responsibilities of veterinarians, horse owners, regulatory officials and others in preventing and mitigating disease outbreaks. But the plan wasn’t finalized until 2017, and it took the cooperation and leadership of a number of key individuals to make it a reality. Early on in the development process, USDA equine representatives and individuals at the AHC created a draft of the plan. 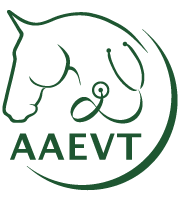 Its stated mission was to protect the health and welfare of horses in the United States by describing the roles and responsibilities of the equine industry, the federal government, state equine health officials, veterinarians and the U.S. diagnostic laboratory networks. “The initial effort was to lay out all the stakeholders’ responsibilities so we all knew where we stood,” Williamson says. When the initial work on the NEHP stalled, the AAEP set up a task force to evaluate the biosecurity and communications segments of the plan. As a result, Williamson was recruited to draft the plan, the Equine Disease Communication Center (EDCC) was created as a communication hub for the process, and Dr. White assumed the role of EDCC director. “White, with his longstanding AAEP leadership, stepped up and took it upon himself to lead the initiative of putting all the segments of the NEHP together,” Williamson says. He and Dr. White, along with Rory Carolyn, DVM, of the USDA, met and finally wrote the National Equine Health Plan as published in 2017. Contributing important input to the final document were individuals representing the USDA, state animal health departments, the AAEP and the equine industry. “What was eventually published was the ‘30,000-foot view’ of all aspects of the U.S. horse industry, including stakeholders that need to be involved to protect the national horse herd’s health,” Williamson says. The goal of the NEHP is to help decrease the risk of disease spread throughout the U.S. horse population. The EDCC is NEHP’s communication outlet, also providing administrative oversight and leadership.